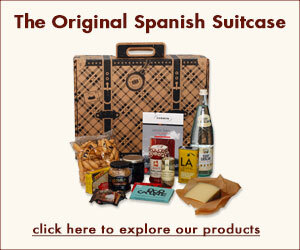 Spanish Suitcase: Is there any one person, moment, or bottle of wine that inspired your love of Spanish wine? Kerin Auth: My love for Spain came long before my love for wine, and there have been many moments and people along my journeys that have deepened the affair. My first trip to Spain as a wine professional was in 2002 when I represented Jorge Ordonez´s Fine Estates of Spain. The generosity and warmth of the families we met paired with the quality of the vineyards we visited, the wines we drank, the food we ate, the memories we shared, education served, was the revelation for me. I had fully surrendered, committed and got involved in a serious, long term relationship with Spain. Spanish Suitcase: What’s your favorite part about owning a wine store in New York City? Kerin Auth: As an incredibly focused shop, we get to really deal with people who have sought us out, because they love Spain and Spanish wine — and also our neighbors who come here with their groceries asking us for pairings with their evening’s dinner. Spanish Suitcase: If you could be the dinner guest of any one Spanish chef, who would it be? Kerin Auth: Well not to be cliché, but Ferran Adriá — mostly because I am ashamed to say that I never made it there while [El Bulli] was still open….one of the few top Spanish restaurants I have not visited. But I can probably say that the Spanish chef I would most want to be the guest of and learn from is probably someone’s grandmother. Spanish Suitcase: If you had 20 euro to spend on a picnic in Spain, what would you spend it on and where would you go? Kerin Auth: With 20 Euro I would go either to Parque Maria Luisa in Sevilla or the beaches of Roche in Cádiz, Andalucía. What I would pack? A bottle of Manzanilla Sherry, some Jabugo ham and a baguette. And some great company. Spanish Suitcase: As a speaker/teacher for Murray’s Cheese, we know you’re a cheese enthusiast. What’s your favorite Spanish cheese? Kerin Auth: I just stepped out of Murray’s Cheese. Picked up a bunch of cheese for my Maine camping trip, among of which was my favorite Spanish cheese: Montenebro. This creamy, pasty, rich Goat cheese is just, sweet, dank and texturally coating. Easily one of my favorite cheeses. Spanish Suitcase: You’ve got a one day layover in Spain. Where do you go and why? Kerin Auth: I would start the day in Getaria, visit my friends the Txueka family at their winery, Txomin Etxaniz. Then I would have a big, liquid lunch at Kaia Restaurant in town — all the while never leaving sight of sea. After lunch I would take a long stroll towards the next surf town over, Zarautz. I’d hang out there, go to the beach for the evening before showering up and heading to San Sebastian for the night to eat and drink my way through my favorite city by the bay. Spanish Suitcase: You’re hosting an intimate tapas party for friends and family. What music do you put on in the background? Kerin Auth: Well, I use a lot of Pandora these days. So a good mix from Rodrigo and Gabriela to start and play through dinner. I listen to a lot of old Boleros as well. Always love Niña Pastori and maybe a little Los Cafres for when the YinTonics come out. Official Bio: Since her first visit to Spain at age 15, Kerin Auth’s hopeless devotion to the country has stamped her passport nearly 25 times. Having danced flamenco in the streets of Sevilla, ridden on a motorcycle through Jerez, roamed countless vineyards and small towns throughout Spain’s vast and beautiful vineyards as well as dined in Spain’s world renowned restaurants, Kerin has trained her palate by immersing herself in the local flavors of each region. A true Sibarita. 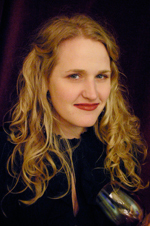 In early 2009 Kerin became a proprietor of Tinto Fino, Vinos de España, a delightful Spanish wine boutique in New York City’s East Village, which showcases unique and hand selected Spanish wines. When she’s not in the shop swooning over her exciting collection of wine, sidras, vermouths, and of course, Sherry, you can find her cooking, fishing, camping, running by the East River, reading and writing, musing and daydreaming.